Franklin is an amazing little guy, but he is a bit shy at first and can be kennel reactive. We think it’s likely he was mistreated by someone in a kennel at some point or possibly hurt by a bigger dog. Once he is allowed to settle, he is a very friendly and happy dude. But because of this we are not willing to place him with small children who may not understand Franklin’s fearfulness. He has been socialized in his foster home but will need a family who promises to make him feel safe during new adventures and will allow him to approach people after his nerves settle. 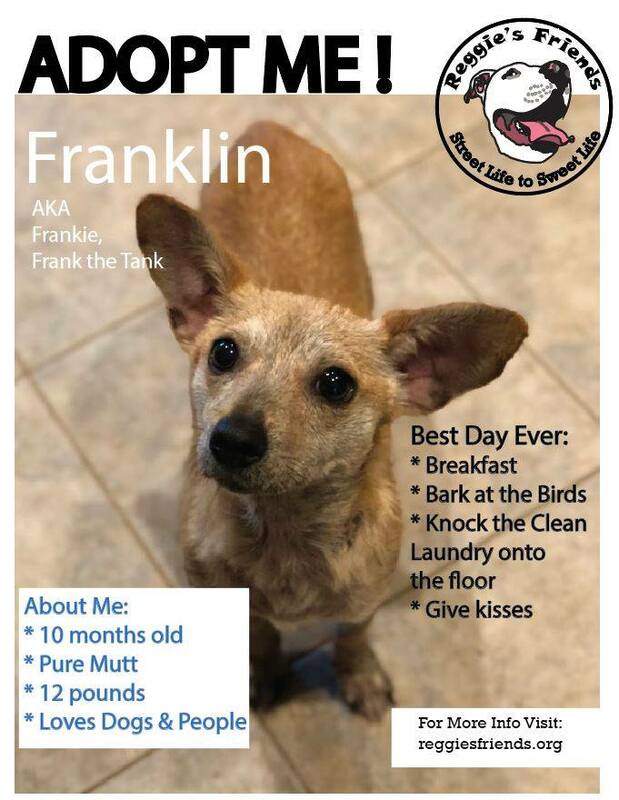 Learn more about Franklin here.